Hello, everyone. Welcome to a new historical article! Before we start, I have to introduce myself since I am new at TAP, and this is my first post. My name is David (davidblader in WoT) and I will be posting articles on combat vehicles from the World War II era. I will start with the ”Romanian tanks (in detail)” series since I am Romanian, so I’ve studied about my country’s vehicles more than about any other ones. I plan to post about vehicles from other countries too in the future. Also, I know that many of the vehicles I will make articles about have already been described on TAP, but in my articles, I will try going into detail as much as I can, instead of only mentioning the most important things (I won’t cover vehicles which already have similar articles). The TACAM R-2 (Tun Anticar pe Afet Mobil R-2) was one of the tank destroyers produced by the Kingdom of Romania during World War II. 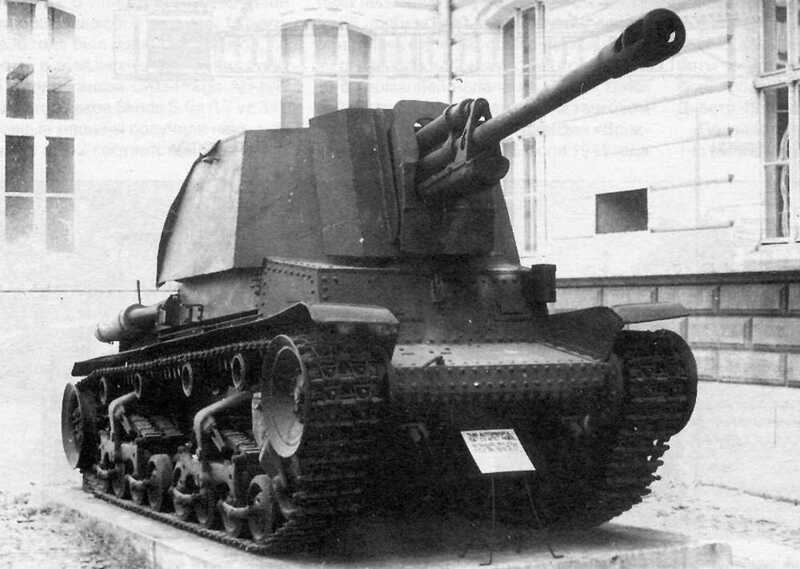 To describe it shortly, it was a combination of the Panzer 35(t)’s hull (called R-2 in Romanian service), the Soviet 76.2mm ZiS-3 gun and a 10-17mm thick cabin for protecting the crew. It was similar to the German Marder series.